Google has provided a variety of methods for students to begin exploring their world. One of the most exciting ways students can go on a Google adventure is through Google Expeditions, a means for students to go on 360° panoramic virtual tours of the world around them, into ancient history, into outer space, or inside their own bodies. It is one of the easiest and least expensive ways for classes to bring virtual reality (VR) into their classroom. BestBuy sells Google Expedition kits, but you there is a large variety of viewers available. 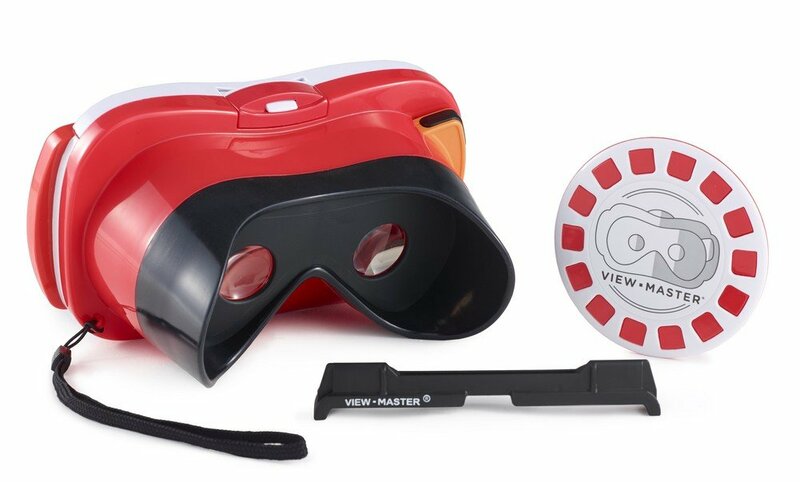 I personally like the Viewmaster which is sturdy and under $15. If your school subscribes to a BYOD model then you the viewer is all you need to buy. Alternately you could use a classroom set of tablets without a viewer for a viable but more limited experience. I still find breaking out the goggles to be more of only an occasional cumulative experience, but it is a wonderful way to expand the prior knowledge and experiential limitations of my students. Check out some related lessons. While Google Expeditions was still being tested, teachers, like me, could bring it to their school free of charge through their pioneer program. They are now offering the same opportunity with the new Expeditions AR Pioneer Program which, instead of allowing students to escape to another world through VR it allows teachers to bring the outside world into the room through augmented reality (AR). To understand the difference, think of VR as a means to escape elsewhere while AR is a way to supplement and improve your existing world. Some of the more popular AR apps include Pokemon Go or Google Translate. The benefit is that AR doesn’t even require a viewer. The Google Expeditions AR allows you can bring the world to your students in ways that may be limited (or impractical) through physical models. The way it works is students look through their phone or tablet at a QR code sitting on a table. That QR code brings to life some object that the teacher has chosen to project (a volcano, dinosaur, the sun, etc.). The students can walk around the table or desk and they get a 360° of that object on the table. The app (currently in beta testing) allows the teacher full control choosing the objects and lessons. The app also provides basic descriptions and looks like it will soon provide guided questions similarly to the original Expeditions app. My one major knock on the program might be the selfie sticks. Granted I am inherently biased against them and they did help with multiple students viewing the AR objects on one device. I think a better (less distracting) solution would be to use larger tablets that would still allow for group discussions. My fear of selfie stick sword fights didn’t come to pass, but there were a few moments where students had to duck when another group didn’t realize they were so close. Also, the app is still a work in progress. As such some of the categories/images are lacking for information so the teacher needs to be knowledgeable. Thankfully I was already quite familiar with cuttlefish and the Google facilitator (a former educator) was also ready to help. There is still time for schools to get on board and sign up to participate in the testing Pioneer Program. If you have at least 300 participating students, you can have Google representatives come to your school with dozens of augmented reality devices synchronized to their new AR learning system to be used by students and teachers like I organized. There are currently 36 lessons that are available. My student’s favorites were dinosaurs, vertebrates and invertebrates, animal camouflage, forces of nature, and the solar system. The students were highly engaged and some were even startled when I brought the giant spiders and snakes to their screens. It allowed them to explore the creatures, planets, and other objects internally by walking closer. The physicality seemed to help some students to understand certain concepts that the struggled with in the abstract. Here are some photos I took from my school’s event. Previous Post What Is Differentiation Really? My name is Veronica Hernandez and I’m an educator in Texas. I’d love to sign up for the Pioneer Program but I’m not sure if it still available. I talked to my principal and she told me to contact a Google representative to make sure they are still accepting requests. Do you know if I still have time? Thank you!! I appreciate your prompt response!